The Sabian HH 10” Splash Cymbal has its own special sound characteristic thanks to its hand hammered finish. Delivering a richly dark tone.. 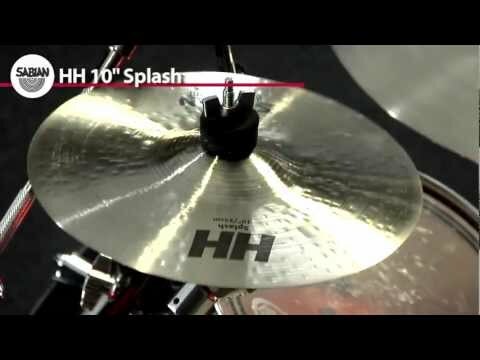 The Sabian HH 10” Splash Cymbal has its own special sound characteristic thanks to its hand hammered finish. Delivering a richly dark tone, this thin splash produces a fast flash of accenting sound. Small, thin and fast is the best way to describe this 10” splash. The extra thin weight of this Splash cymbal allows it to open up quickly to deliver a fast burst of tone, while the hand hammered finish serves to produce a dark characteristic to the cymbal sound. Ideal for adding accents to your playing, this HH Splash is suitable for a wide range of musical styles. For fast flashes of dark tone, buy the Sabian HH 10” Splash today from PMT Online.